It turns out that my grandmother was wrong – very wrong. Playing video games might actually help correct vision problems, or so says a group of McGill University scientists that successfully used the classic puzzle video game Tetris to treat lazy eye. In a study published in Current Biology magazine, 18 adults were treated for amblyopia – better known as lazy eye – using a special pair of goggles that show each eye only part of a Tetris game screen. As the subjects’ played, their eyes were forced to work together, effectively re-teaching their brain how to see. 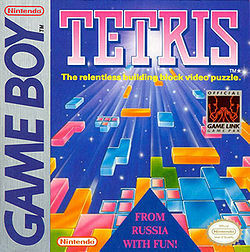 At the end of the two-week study, researchers found that playing an hour of Tetris daily was a faster, more effective treatment than using an eye patch, the traditional method of curing lazy eye. I’d wager that it’s also a lot more fun. The healing power of video games isn’t just limited to eyesight though – they offer all sorts of benefits to the human brain. A number of apps help train your brain to think more effectively, and there’s evidence that puzzle games like Tetris may even help to ward off Alzheimer’s. Gaming, it seems, may hold the key to a healthy and happy life.